I was on the water for sunrise because I had to work at 8 pm and I wanted to bring home some fish for the freezer. It looked like it was going to be a beauty of a day and it was the first cool day after a warm stretch. The only thing lingering in my mind was whether or not the cold front would change the bite. I had my buoy marker in the sweet spot in the dark and was catching fish within only two casts. While not every fish was a keeper, probably every third was. I should mention most of the fish were of legal size though. It took me 82 fish to complete my limit but it didn’t stop there. I spent the rest of the day looking for new spots many of which were loaded with fish. 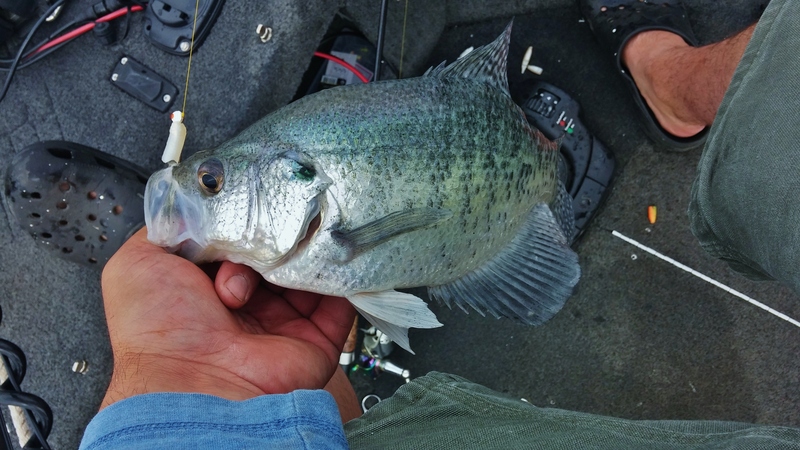 By 8 am I was throwing back 12″ crappie. 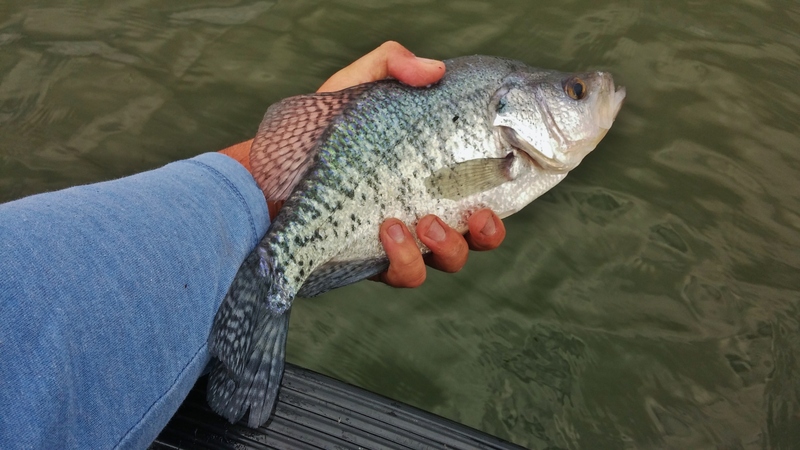 Every spot I hit produced similar sized crappie. Nothing huge but some were pushing 14″. I ended up putting another dozen quality spots on my graph for future trips. The fish were hungry but many were biting as soon as my “Live” Baby Shad hit the bottom. Many of the fish I caught actually had mud sticking to their bellies. 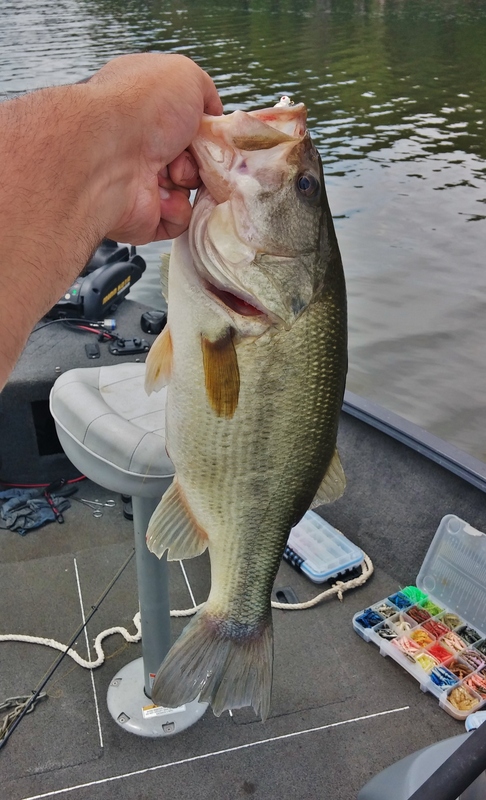 With the warm water from the last few days, the fish wanted the jig moving extra slow so mainly I was running a 1/16 ounce jig even when the wind picked up. After a little more than eight hours of catching fish, I headed for home. I ended up the day with 237 crappie on the clicker. Not too bad of a day!